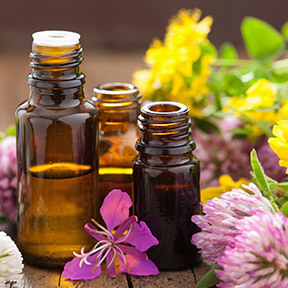 Valued throughout the ages for therapeutic purposes, spiritual enhancement, beauty care and food preparation, the popularity of essential oils continues unabated today, especially in holistic and traditional medicine. The popularity and use of aromatic plant essences can be traced back thousands of years. References to essential oils can be found in Egyptian hieroglyphics, ancient Chinese medical texts, sacred 5,000-year old Ayurvedic medical literature, and the writings of early Greek and Roman physicians. Numerous biblical mentions appear in both the Old and New Testament. While western medicine has been slow to accept the time honored wisdom of these herbal and botanical remedies, interest in the healing properties of plant oils has soared in recent years, as the use of essential oils becomes more prominent in western culture. Essential oils are concentrated volatile aromatic compounds or essences extracted from plant seeds, bark, stems, roots, flowers and leaves. These small organic compounds are called volatile because they tend to quickly change from their solid or liquid state to a gas at room temperature. This means that they can rapidly move through the air and directly interact with nasal olfactory sensors, making them ideal for aromatherapy use. The healing powers of essential oils have withstood the test of time with proven efficacy and effectiveness. In countries such as Germany, France and England essential oil remedies are prescribed by physicians and are readily available at pharmacies across Europe. Especially valuable as antiseptics, research studies have shown essential oils to have numerous powerful healing properties with a wide range of emotional and physical wellness applications, including infections, pain, anxiety, depression, nausea, stress relief, and sleep issues. While over 3,000 varieties of volatile aromatic compounds have been identified, each botanical species has unique and specific benefits. Essential oils may be applied topically, inhaled and in some cases, ingested. The application method depends upon the oil, the condition to be treated and the desired effect. Wound care, for example, involves topical application. For effects on mood, inhalation might be preferred. The addition of oils to bathwater involves both inhalation and topical absorption. A diffuser is the preferred way to scent a room with an essential oil, such as lavender, to enhance relaxation and support sleep. Dry evaporation involves scenting a cotton ball with several drops of oil and leaving it in your immediate vicinity for continuous exposure. A few drops of oil may also be added to a water spritzer and sprayed into the air to deodorize a room or set a mood. Peppermint, for example, would stimulate alertness. Essential oils derived directly from nature are intended to provide pure, uncompromised healing to induce harmony of the mind, body and spirit. Carrier oil – While some essential oils may be applied directly to the skin, other highly concentrated oils require dilution in a carrier oil before application. Jojoba, sweet almond, or coconut oil work well as carrier oils. As a general rule, three drops of pure essential oil should be added to one teaspoon of carrier oil before application. Lavender – Lavender oil has a wide range of applications. It has antibacterial, antiviral, anti-fungal and anti-itch properties. Lavender is used to calm anxiety, tame stress, support sleep and improve mood. A natural pain reliever, it’s useful for treating minor burns, cuts, scrapes, bruises and insect bites. Lemon – Lemon oil has multiple benefits, including air purification and healthy respiratory function. Lemon oil may be mixed with raw honey to calm a sore throat, or with tea tree oil for household cleaning. Diffused lemon oil is uplifting and energizing and has been shown to aid positive mood. Peppermint – Peppermint oil has been studied intensively and has been shown to boost positivity and invigorate the mind and senses. Peppermint is used to freshen breath, alleviate occasional stomach upset, and promote healthy respiratory function. Melaleuca or tea tree oil – A must-have for every home care kit, well researched tea tree is one of the most versatile and widely used oils. Well known for its cleansing properties and rejuvenating effects on the skin, it promotes healthy immune function and acts as an effective antimicrobial and antifungal agent. Frankincense – This earthy, uplifting oil has anti-inflammatory, anti-aging and potential anti-cancer properties. When applied topically, frankincense promotes healthy, younger looking skin. Frankincense boosts immunity and helps to fight infections, and when used aromatically, frankincense reduces anxiety and promotes peacefulness and calmness. Oregano – As a potent and powerful plant-derived antifungal and antibacterial, oregano is useful for treating minor infections, toe nail fungus, athlete’s foot, and gingivitis. Taken internally, oregano supports healthy digestion and respiratory function. Rosemary – Rosemary oil acts as a mild stimulant that helps to increase alertness and promote mental clarity and concentration. Helpful for stress management, it eases muscle spasms and relieves pain from arthritis, sprains, strains and fibromyalgia. Chamomile – Chamomile essential oil has powerful anti-inflammatory, analgesic, antibacterial and anti-fungal properties. Nicknamed the “plant’s physician” because of its positive effect on plants growing nearby, chamomile has a calming and soothing effects on the skin, mind and body. Jojoba Oil by Now Foods: An ideal carrier oil, this shelf stable, pure, certified organic multipurpose oil is commonly used to promote healthy hair and skin. Expeller-pressed and hexane free. Lavender oil by Now Foods: This 100% pure lavender essential oil is steam distilled from flowering tops. Its floral aroma is wonderful for soothing, normalizing and balancing. Organic Frankincense Essential Oil by Dr. Mercola: This rare, wildcrafted oil is steam distilled from the gum of boswellia trees. Utilized for emotional, spiritual and physical wellbeing, this oil mixes will with lemon, orange and lavender, and is safe for use around children and pets. Orange Oil by Now Foods: This 100% pure, certified organic oil is cold pressed from fresh fruit peel. When diffused, it provides a refreshing, uplifting, and invigorating environment. Taken daily it promotes healthy immune function and provides an energizing boost when inhaled. Oil of Oregano by Natural Factors: This certified organic, wild crafted Mediterranean oregano oil is hand harvested and guaranteed to provide a minimum of 80% carvacrol, the active ingredient with a wide range of health benefits including antibiotic and antioxidant activity. Willow Forest Ultrasonic Essential Oil Diffuser by Greenair: A customer favorite, this quiet ultrasonic diffuser delivers the natural benefits of essential oils in a powerful and efficient way. Choose rotating or fixed color for creative ambiance. Runs for up to six hours. Automatic shutoff. Available in white or black. Amber Glass Serene Living Ultrasonic Diffuser by Greenair: Suitable for home of office, this hand blown glass diffuser utilizes high-frequency ultrasonic electrical vibrations to create an ultrafine aromatherapy mist. Also available Marble Blue and Obsidian. 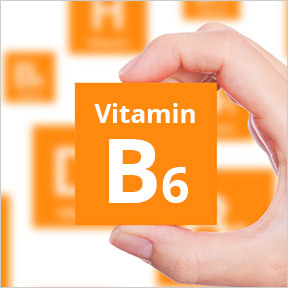 Vital Nutrients BCQ is a powerful herbal combination that provides enhanced support for maintaining a healthy inflammatory response and to reduce minor pain. Integrative Therapeutics Theracurmin is a novel preparation of turmeric that utilizes patented, colloidal dispersion technology to enhance bioavailability and dramatically increase curcumin levels.